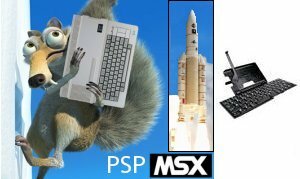 Here is a new version of PSPMSX the MSX series Emulator for PSP. For those who haven't seen previous versions, fMSX is a famous emulator of the MSX, MSX2, and MSX2+ 8bit home computers. The CODE/KANA key is not suported?